Whether you have your finger pressed firmly on the digital pulse or not, it’s likely that you already know, or have at least heard, about content marketing. Whilst some of our readers have been doing this for a while, some are just getting started so we have put together a brief introduction to the wonderful world of content marketing for you! To define exactly what content marketing is, we first have to understand what content is. Over the years content itself has changed. Previously, content was thought of as information shared by experts such as journalists and public figures. Their extensive backlog of research gave them unmatched credibility and authority on their chosen subject matter. The internet has changed this dramatically and in the present day anyone can create, publish and share content – effectively allowing anyone to establish themselves through the use of content. In the confines of the internet, content can take the form of almost anything from an article to a photo, a video to an infographic. However, you don’t want to be producing content just for the sake of it. In order for content to marketable, it must be relevant and engaging and hold value for your target audience. Your content should be designed to be shared and produced with the end goal of acquiring new customers, or at least increasing business from existing consumers. If your content has these attributes, then it’s prime for content marketing. So What Actually is Content Marketing? Now we understand what content is, we can move on to what content marketing actually entails. Content Marketing is creating content for your website that people will actually want to share via social networks. It’s content that gives your colleagues, customers and potential customers a reason to link to you, like you on Facebook, tweet about you and talk about you with their friends. The beautiful thing about content marketing is that you can incorporate it into every last marketing activity of your company. It becomes more of a way of life rather than just another campaign or strategy as you are actively building a brand and developing a story that your audience wants to be a part of. Coca Cola’s 2020 Content Marketing Strategy is a shining example of this. They have devised a strategy that will simultaneously educate, entertain and engage their consumers, connecting them with the brand in such a way that they want to share their experience with others. Every piece of content you produce, from a simple 140 character tweet to a 1000 word article should strike a chord with your target audience. If you’re not creating content that’s doing this, you may as well go and shout your message at a brick wall – it’ll probably be more effective. 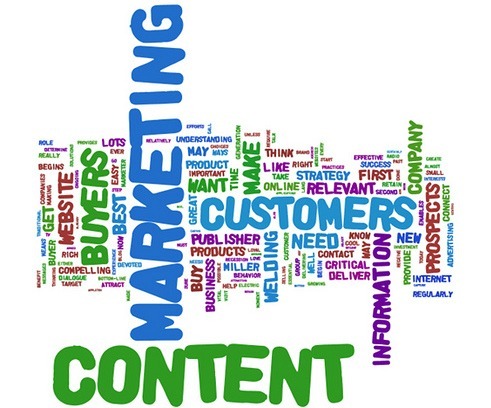 Content marketing is also more flexible than traditional marketing. If you find that you’re not getting the results you expected, you can carry out some analysis, find out what’s wrong and tweak your strategy for minimal investment. Compare this to rectifying a campaign that saw 2000 badly received flyers that all ended up in the bin, and there’s a clear winner! If you just still haven’t had your fill of content marketing definitions , I highly recommend giving 21 definitions of content marketing by Heidi Cohen, a read! Content marketing can benefit your business or company by increasing sales leads and positioning you at the forefront of your customers, and potential customers, minds. Because you’re sharing quality information rather than dull brand propaganda, you’re likely to increase the number of visitors to your site. More visitors means more goal completions (whether it’s sales or filling in contact forms) and even more social media love as your current and new customers share their awesome experience with you with their friends. This is why content marketing is king and it’s worth spending a little bit of time getting it right! As Jessie J said, “forget about the price tag!” Content marketing is all about the customer experience. We’re not saying that you have to make the world dance, but if you’re stirring up a little emotion, you’re probably headed in the right direction. Start small and work your way up to bigger things. You wouldn’t stand up in a crowded room and start talking without putting in a little groundwork first, so why would you do it with your content? First of all you need to ask yourself “what makes my brand interesting and why would people want to share it with their friends?” Even if you think your brand is boring, you’ll have something interesting to talk about – Patricia Redsicker believes it! You then need to identify your niche and the challenges that your customers face within that niche. For example, you’re an online marketing company and your customers need help navigating the complexities of social media. Find out what content your current and potential audience are interested in (are they watching a lot of videos or reading articles?) and plan a way to create content that will both engage current customer and entice new ones, say a guide to social media that could be published on a weekly basis. You should also consider what you want to get out of it in the long run and how you will track this. Want more visitors to your site? Check back on a regular basis once you’ve started content marketing and see if it’s having the effect you wanted. If not, tweak your strategy and try again! Managing expectations is an important part of content marketing, and you shouldn’t expect to see a huge difference immediately. Building a relationship with your customers takes time as you need to build trust amongst your community but stick with it – after all, content rock stars weren’t built in a day!